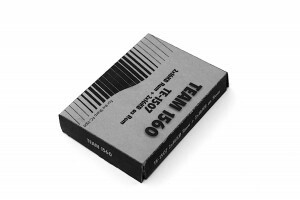 Hi, In my PC-1500 i had problems with the first TE-1507 version using Xicor memory. It was impossible to write something in an unprotected X28HC256. 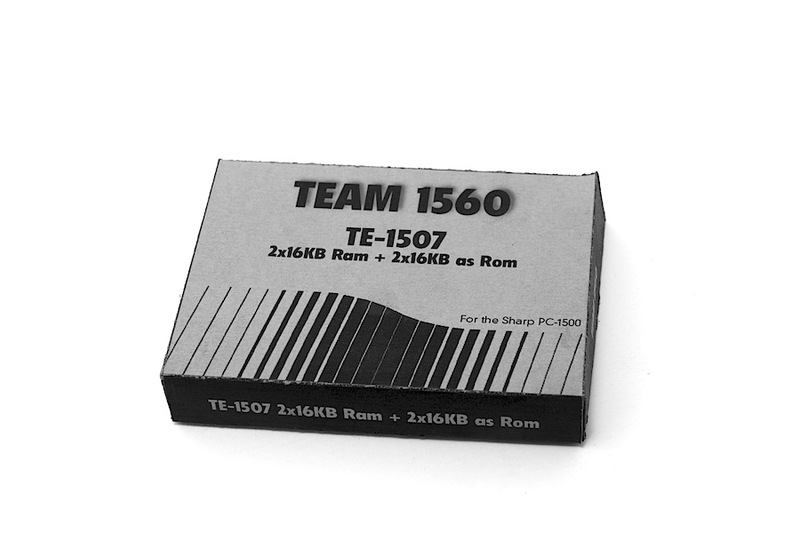 The Team1560 needs were to have a big system RAM and a place to test system ROM extensions. Done ! 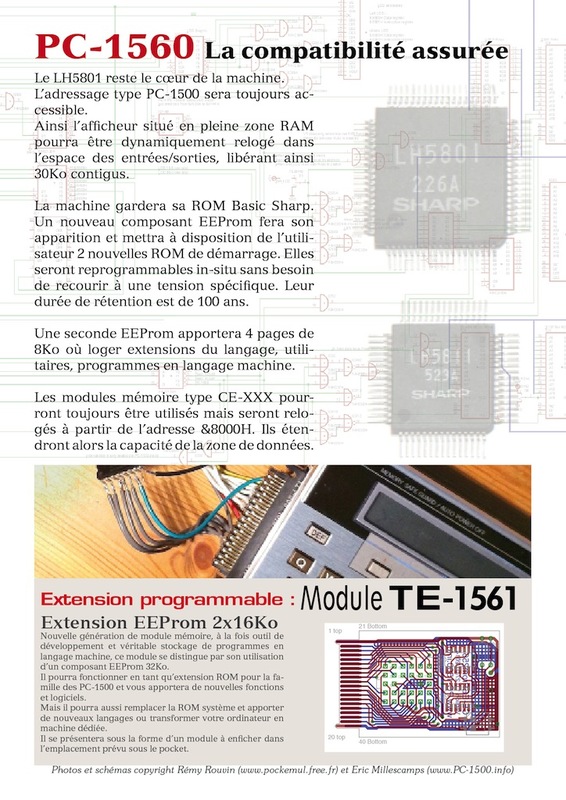 The TE-1507 is now working with 2 RAM ICs and the R/W protection is done by jumper. The release version should be available in one month. 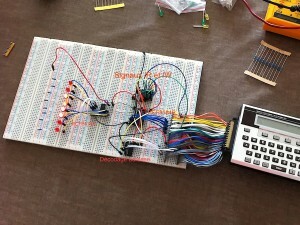 This entry was posted in 3-Modules, Blog, Hardware, PC-1560 and tagged extension, memory module, PC-1500, TE-1507, Team1560 on 01/28/2016 by Rom1500. 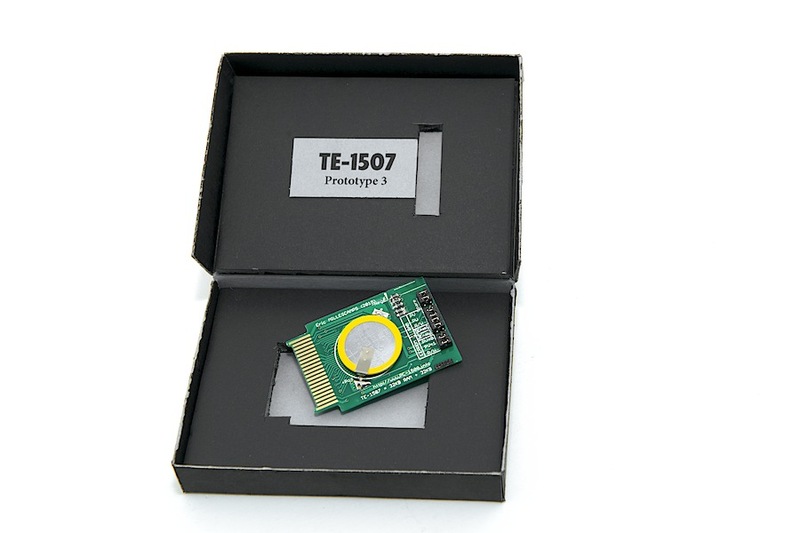 TE-1507 : The memory module for developers ! 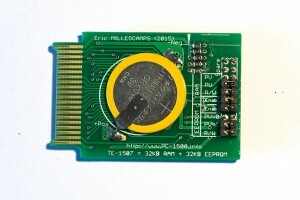 The TE-1507 memory module is now in my PC-1500 ! 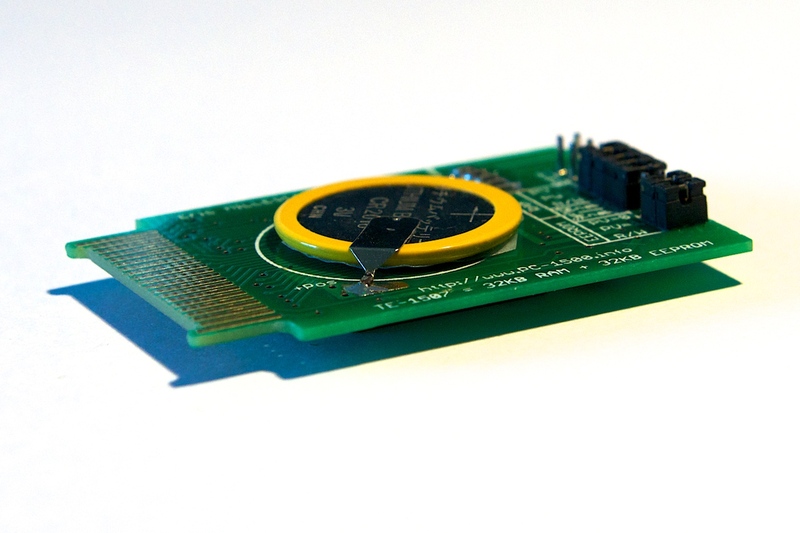 This module offers a very wide memory space for developers. 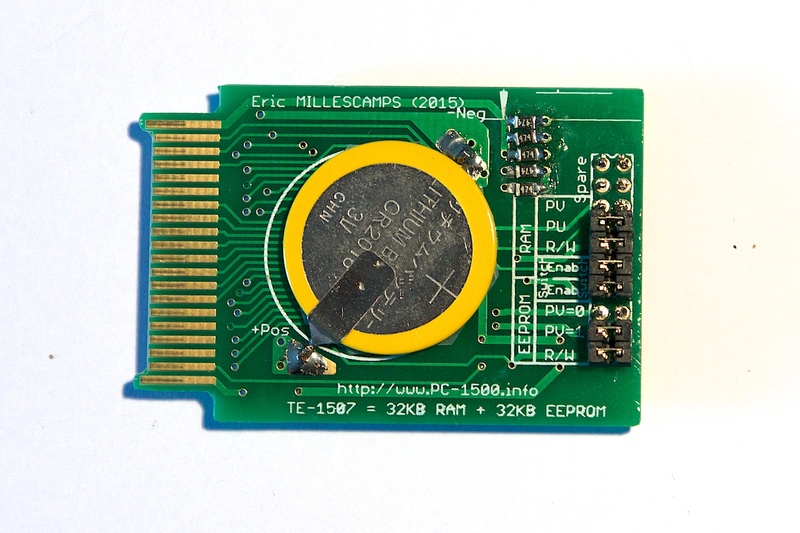 It was initially planned to have RAM and EEProm but due to a bad EEProm lot… it’s now full RAM. 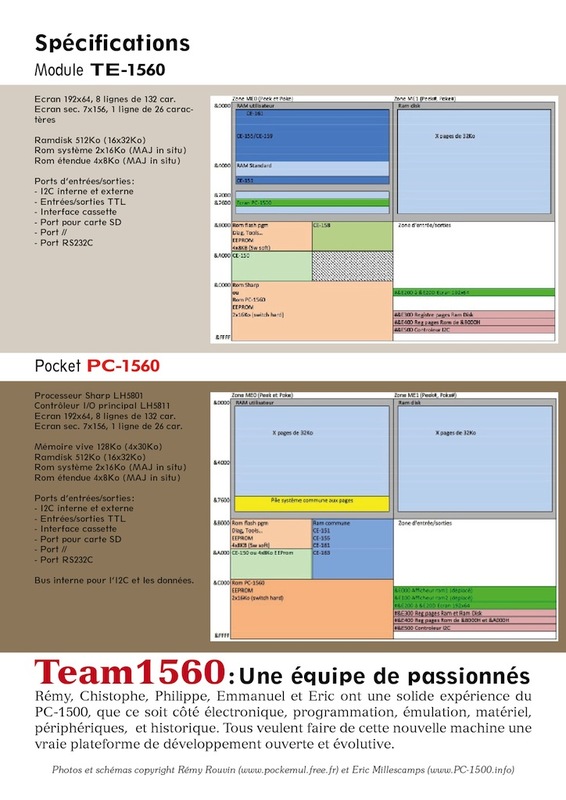 This module will be a very good investment to expand your PC-1500(A) ! The Team1560 member CGH is working on a ROM builder to add Basic keywords from a wide library. Cool, isn’t it ? 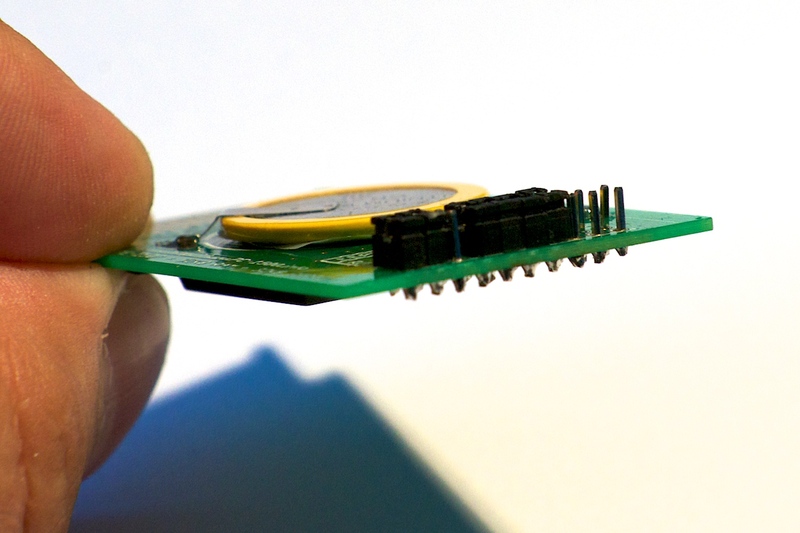 The price for this special module is $75 without shipping costs. This entry was posted in 3-Modules, Blog, Hardware, PC-1560 on 07/30/2015 by Rom1500. 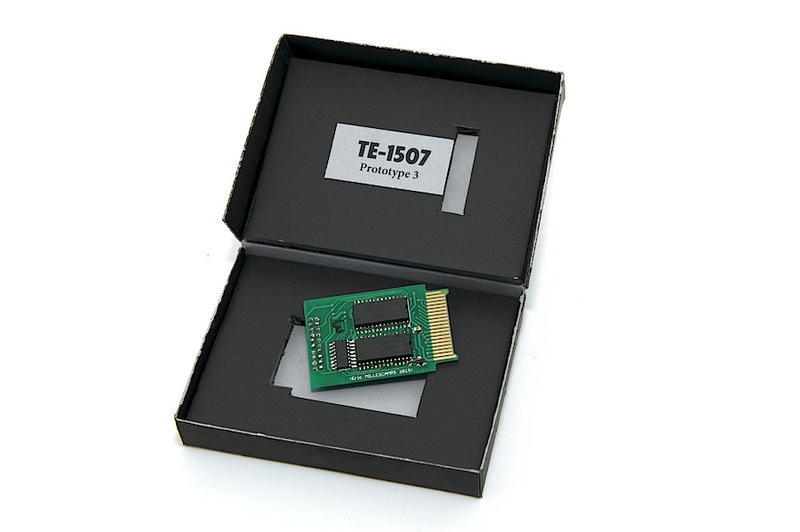 The TE-1506 memory module is an important step on the way to the PC-1560. 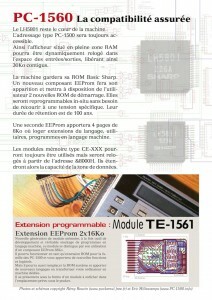 It’s Sharp PC-1500(A) compatible and offers some nice features that missed from a long time. 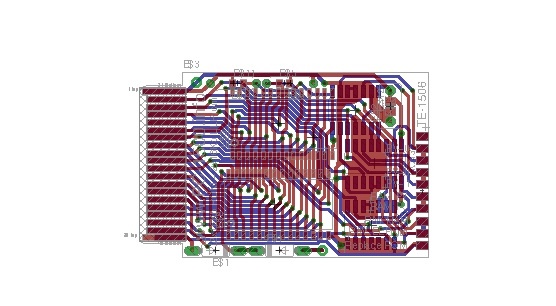 I have ordered the prototype board and will receive it in two weeks. 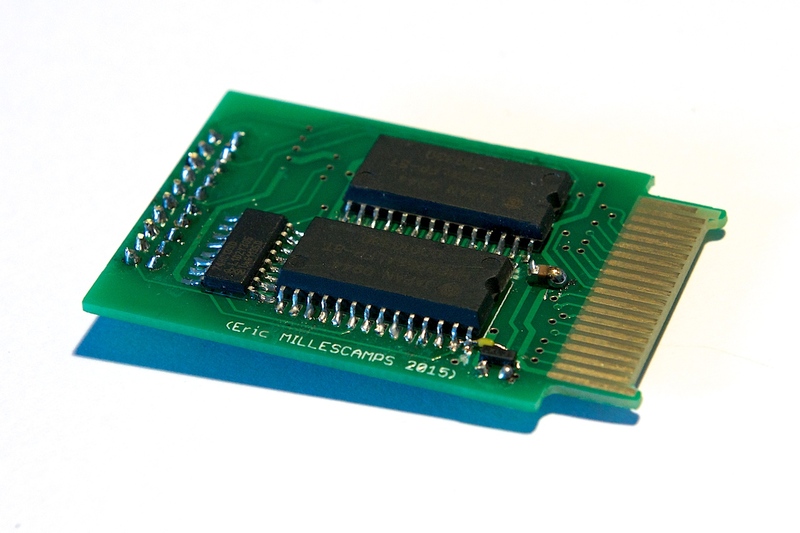 In the size of a module you’ll have a 32KB static RAM and a 32KB Xicor EEPROM. 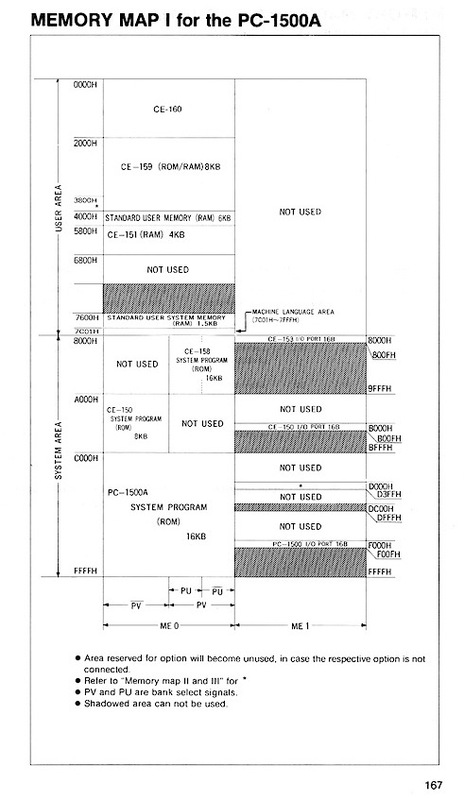 It’s divided in two 16KB memory spaces from &0000H to &3FFFH and will replace your CE-161 module. The LH5801 provide 2 flip-flops named PU and PV. 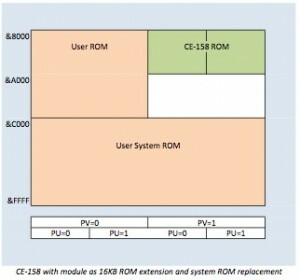 They are mainly used to switch extension’s ROMs located from &8000H to &BFFFH. 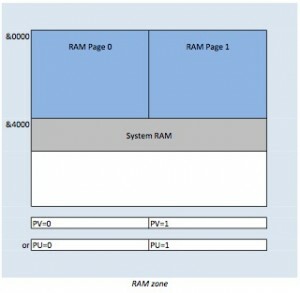 Here you will be able to configure by jumper if pages are selected by PU or PV. Natively the Basic can’t switch the RAM pages but… we will teach him. For information the TRAMSoft memory extension use same page selection. The whole RAM (from &0000H to &3FFFH) can be write protected by removing a jumper. 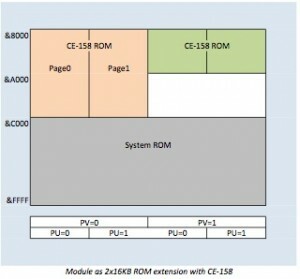 Xicor offers us a the perfect solution to store ROM extensions. 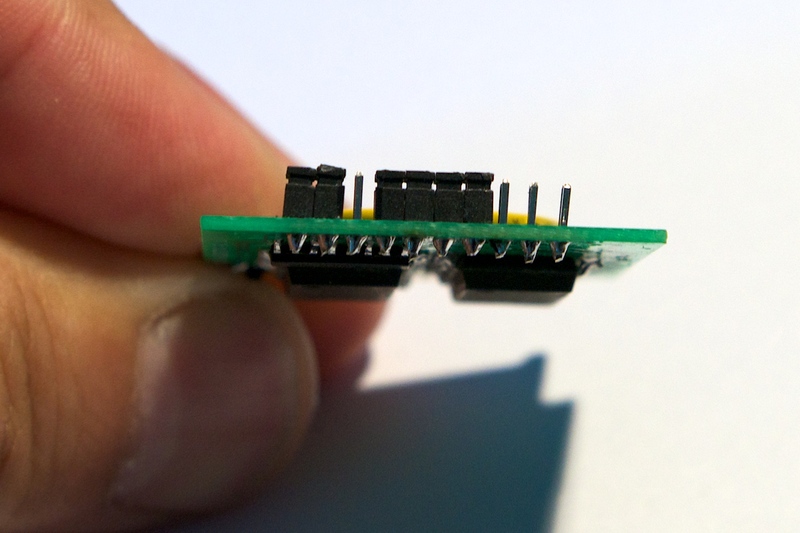 First, it’s 5v programable, second, it’s byte erasable ! No need of external EPROM programmer. 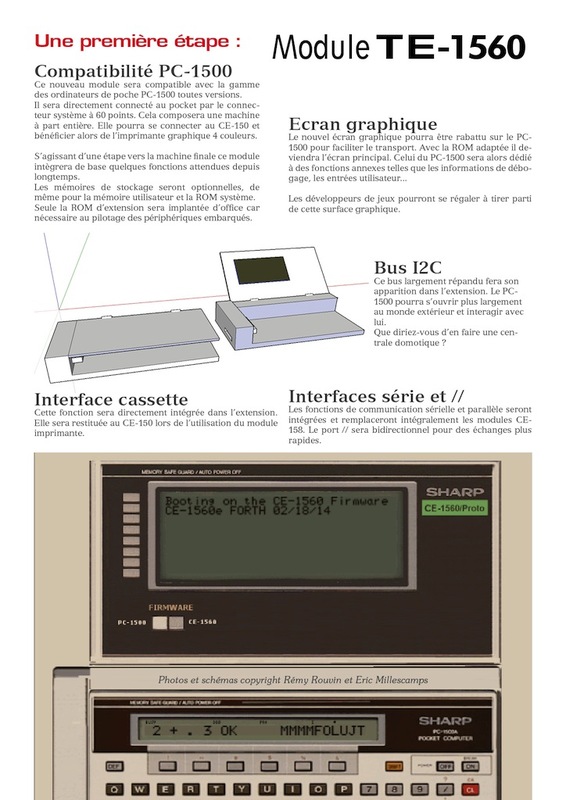 CGH already tested the Xicor solution on his PC-1500 as a permanent RAMDisk. 1 – As two 16KB ROM extensions located from &8000H to &BFFFH. 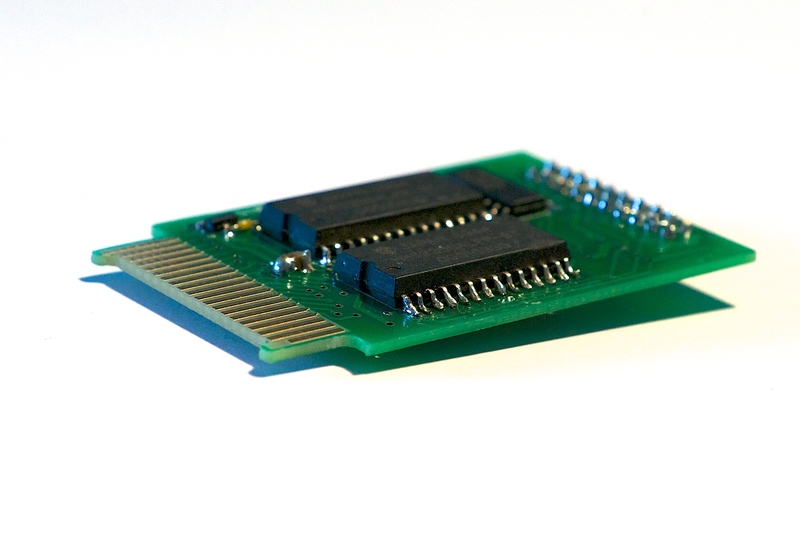 Depending on the peripheral used (CE-150 or CE-158) you can select the EEPROM’s position in the memory space. The two 16KB pages are selected by PV flip-flop. 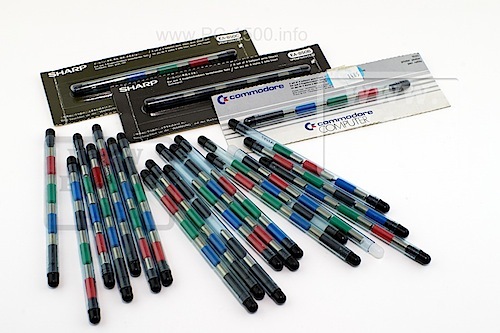 Do you remember CGH’s tools ? BASWORD will be your friend. 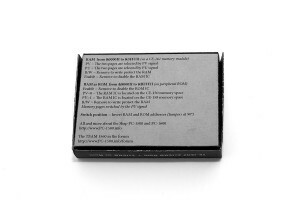 2 – As a 16KB ROM extension + 16KB system ROM replacement. 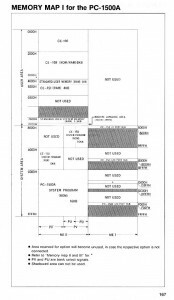 The first 16KB page becomes the new system ROM and the second 16KB page is still a ROM extension located on PV=0 or PV=1 zone. 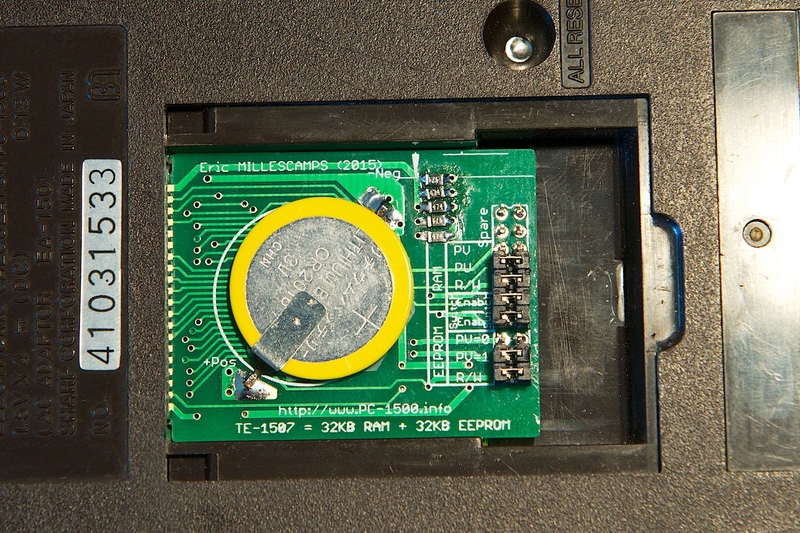 The whole EEPROM can be write protected by removing a jumper. Amazing, no ? This will offer a solution to create you own root system ! 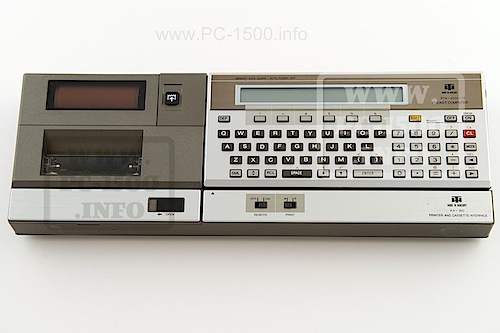 Could you image a Forth native PC-1500 ? an assembler native PC-1500 ? a C native PC-1500 ? First tests in 3 weeks ! This entry was posted in 3-Modules, Blog, Hardware, PC-1560 on 04/17/2015 by Rom1500. 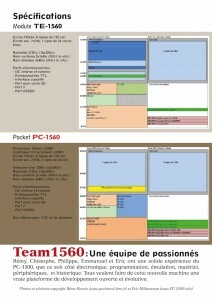 Do you want a good news about the PC-1560 project ? I2C is now working with your favorite pocket computer ! Using the PCF8584P i can now drive the slave I/O chip : PCF8574A. 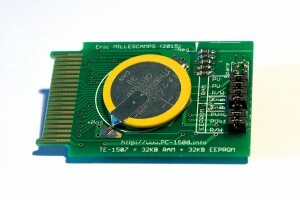 I will soon test some other I2C components like RTC and memory. 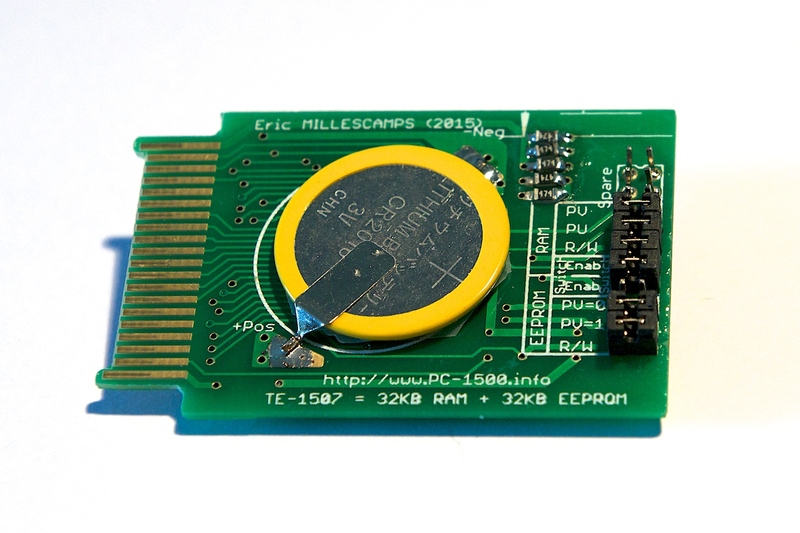 This entry was posted in Blog, Hardware, PC-1560 and tagged extension, I2C, Interface, PC-1560 on 05/02/2014 by Rom1500. Do you want a good news ? 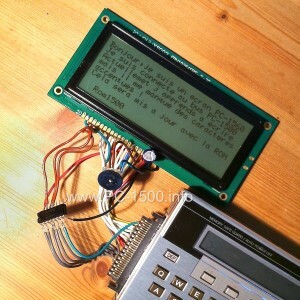 Your PC-1500 is now able to communicate trough a big LCD of 8×30 in text mode and 192×64 in graphic mode. This entry was posted in Blog, PC-1560 and tagged Display, extension, Firmware, LCD, PC-1560 on 04/03/2014 by Rom1500. PC-1560 : CE-161 to replace system ROM ? 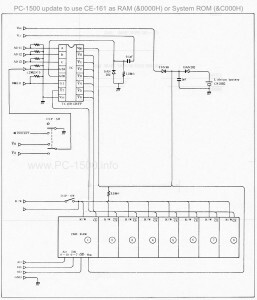 Working on the PC-1560 project need some tools. We have to design a new system ROM but at this time don’t have to work with (E)EPROM programmers. The best way is to look at our hardware stuff ! 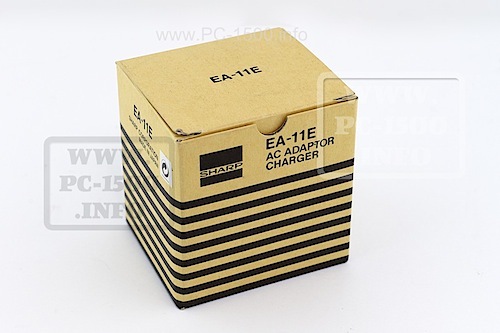 We most have CE-161, isn’t it ? Ok, how does this memory module work ? It need to be plugged on the 40 pins bus. 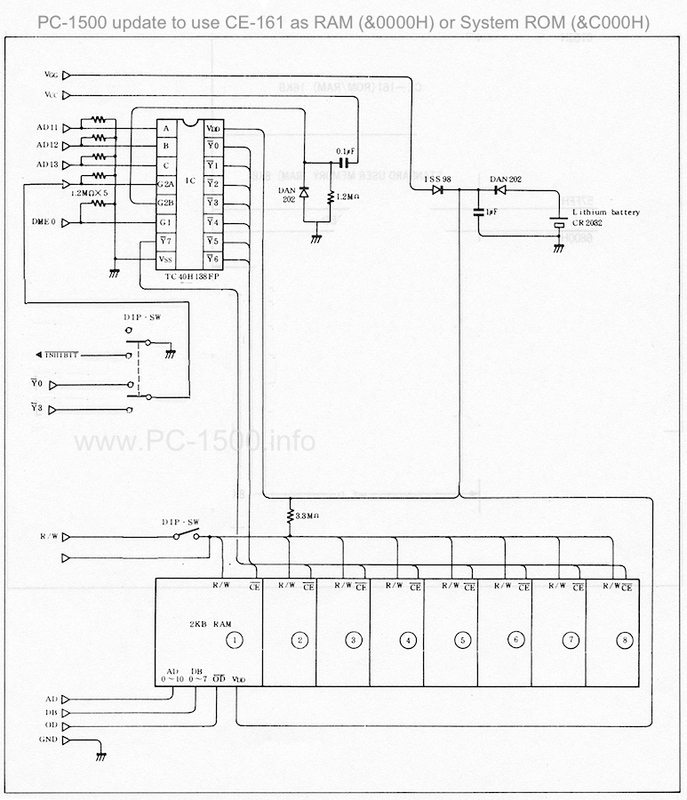 CE-161 schematics shows a 40H138 (Demux) selected by /Y0 (active low) going to /G2A (active low). This signal is nothing but &0000H address. The system ROM is at &E000H… /Y3 from the 40H139 in the PC-1500. Ok, a DOUBLE hardware inverter is all we need. – connect /Inhibit to GND or let it to it’s high value. The inverter must be inside the PC-1500. Cut the strap from pin 4 of the 40H139. 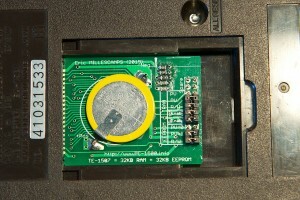 Connect this pin to one side of the inverter. 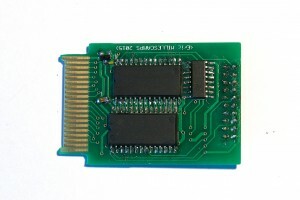 Connect pin 7 to inverter’s other side. Connecter inverter middle pin to the cutter strap. Now you can choose CE-161 function : RAM or system ROM. I will soon show your a picture of the system. Here is the updated schematics. 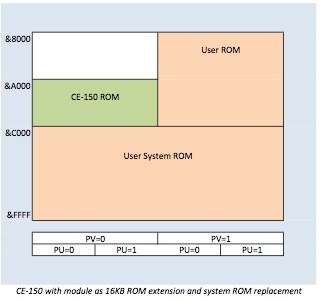 CE-163 owners will have a dual ROM system… but be careful to switch ROM when powered off. 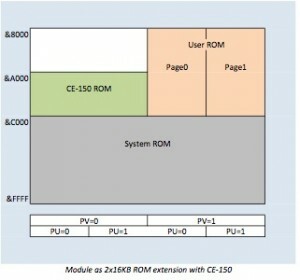 This entry was posted in Blog, Hardware, PC-1560 and tagged CE-161, extension, memory, Module, PC-1560, RAM on 01/13/2014 by Rom1500. 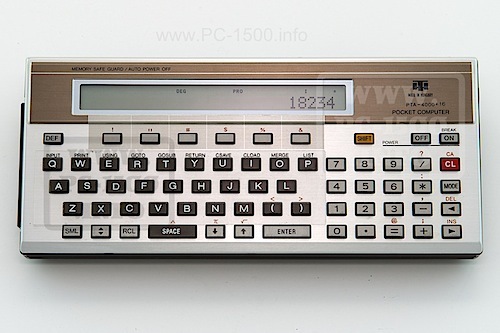 You all own a Sharp PC-1500 ? The nicest pocket computer produced by Sharp is a real success and 30 years after production end you can ever buy it on auction websites. Incredible ? No ! It’s an expandable machine. Its ROM too. All is done to comfortably add functions and build a big small system. But… not enough RAM, small display, no communication ports ! It’s time to renew this machine, take the best of it’s components, add missing parts and functionalities and build the PC-1560 ! That’s the project ! Christmas ? Yes !!! Wow two 192×64 LCD ! 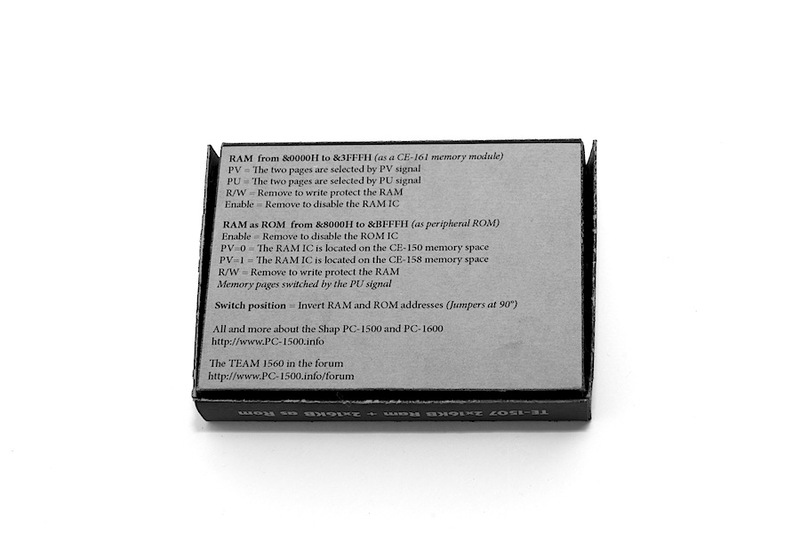 Wow some 128x8Kb RAMs ! Wow some 60 pins male connectors ! Wow new LH5801 and LH5811 chips ! Nice hardware ! 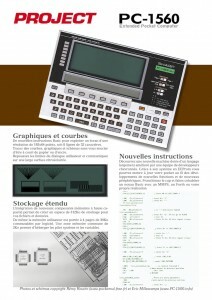 Wow a skilled developer with PC-1500 ROM knowledge ! Welcome CGH ! Ideas are welcome too ! This entry was posted in PC-1560 on 12/13/2013 by Rom1500.